Carrie Milligan hired Jas as her Chief Engineer for her silver mine. This had to be the most stubborn silver mine Jas had ever worked on. He was trying to drain the mine, and couldn't figure out why the new tap hole didn't do any good. It just didn't make any sense, the new tap hole that he drilled was accurate to the inch and the bottom of the shaft was like a sieve and it still wouldn't drain. Now he had to go and tell Carrie the bad news. She was eagerly waiting to hear Jas's news. But when he entered her office she could tell it wasn't good. "That new tap hole didn't do any good.....so ends Carrie III (meaning a mine shaft), .....a rainbow without a pot of gold!" Said Carrie. 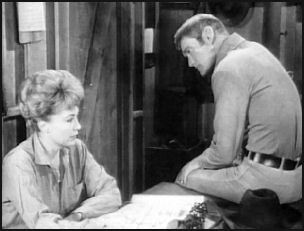 Jas told Carrie that he knew what was flooding the mine, but couldn't figure out why it wouldn't drain. While they were discussing the mine over a cup of coffee someone knocked on the door. It was a young man by the name of Richard Bain. He told them he engineered in geology and was looking for a job. She introduced Bain to Jas. She asked him what his qualifications were. He told her he was a senior at the United States Military at West Point and he was on a semester break and was hoping to get some experience. He told her he had been studying mining methods and production. This didn't set well with Jas, he wondered what Bain wanted, and he knew he wasn't on any semester break. She asked him if he learned anything about drainage. He said he had and asked if he could take a look at it. Carrie asked Jas what he thought. Jas asked Bain how long he would be staying. Bain told him a month. "Well I suppose we have nothing to loose," said Jas as he nodded a go ahead to Carrie. Carrie called a meeting of everyone that worked for her, although it was only a handful of men. As Bain looked over the map to the mine he asked if there was a definite fluxion in the water level. She told him it goes up and it goes down. He then asked her if it was slowly or suddenly. She said she didn't know and asked Jed Peck, one of her employees what he thought. He didn't seem to care too much for Bain, he felt Bain read a lot of books, but Peck himself worked a lot of mines in his time. Bain asked him again about the fluxion of the water. Peck told him, suddenly. Bain then pointed to a basin and asked Jas if the river drained into that basin. Jas told him it did. He asked Jas if it could be possible there was an old mine shaft or a natural cavern next to their shaft. Jas was impressed with Bain and as he thought about it, he knew there had to be one. "Carrie.....somewhere in your mine is a break through to an underground tunnel," said Jas. "Every time it floods, it floods us!" Exclaimed Bain. Peck remarked that maybe that was why the tap holes didn't do any good. Jas told Peck that it shouldn't be more then a few feet below the surface. He said he would put a rope around Peck's w aist and hold the slack and Peck could go down and try and find the break. Jas said he would do it himself, but his size disqualified him. "Wait a minute.....you ain't wading me into no dark hole McCord.....not you," said Peck. Carrie asked Peck if he was afraid of a little bath. He told her he had good reason not to go. Bain interrupted by volunteering to go in place of Peck, but only if Jas held the rope. Again Jas was surprised with Bain, and still wondered what he was up to. 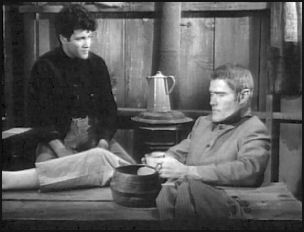 Peck told Carrie that he and the boys would be down in the #2 mine, doing what they get paid for. Carrie then turned to Bain and thanked him. They got a couple of torches ready and headed for the shaft. Jas told Bain he hoped they had taught him to swim in engineering school. Bain told him he wasn't worried, and that he had great confidence in him. Bain eased his way slowly into the shaft with Jas holding the rope. Bain wasn't in the water too long when Jas felt what he thought was a tug on the rope. Jas surmised that Bain wanted more rope. But then the rope went limp. Jas pulled the rope in to find that it had been cut. Jas then took off his coat, boots and hat and dove into the shaft full of water. When Jas came to an opening he was surprised to see Bain setting on a large rock waiting for Jas to get there. Jas swam over to Bain, he was angry with Bain. "You cut that rope.....deliberately!" Bain told him he had to. "Had to!" Yelled Jas. Bain started to explain everything to Jas. "You see my graduation thesis deals with the campaign at Bitter Creek." "Your conduct was a square peg in a round hole." "I knew you couldn't be a coward sir! Your record was too good!" "And I had to prove it." Jas told him that he didn't prove anything, except the first thing about responsibility. "You don't understand.....I only had thirty days to....." said Bain, as Jas interrupted him. "You have thirty seconds right now to get back up there and show Miss Milligan that you're alright!" Bain wanted to stay and help find the break, but Jas wouldn't let him. Bain then jumped into the water with Jas's help. Jas did find the break and diverted the flow of the water with dynamite. There was more silver then you could imagine. As Jas was leaving the mine Bain followed after him. He told Jas he had a question he wanted to ask him. "I thought maybe you could advise me." "You see.....next semester I have to go back and study under a man....." Jas interrupted him....."What do you want from me? You want a hero? Go home and find one!" Jas then walked away. That evening Carrie invited Jas over for Dinner to celebrate. They had just finished eating when there was a knock on the door. It was Bain; he wanted to thank Carrie and tell her he would be leaving the next day. Jas was leaving the next day also; Carrie asked them if they were allergic to success. Jas thanked Carrie for the dinner and left. You could tell it was hard for the two of them to say their goodbyes. "Goodbye sir," said Bain. Jas put his hand on Bain's shoulder and said goodbye. After Bain finished his goodbyes with Carrie he went to town to the saloon to do his celebrating. "Cannons to the right of them.....cannons to the left of them.....storm that with shot and shell, while horse and hero fell.....those that had fought so well," recited Bain as he toasted with the other cowboys. Peck saw Bain at the bar, he approached Bain and told him that they should go home and get some sleep. Bain agreed, but when he tried to leave, Wilkes shoved Peck and told him that sleep was for old men and there was no reason to ruin their fun just because it was past his bedtime. Then Wilkes shoved Peck away, the more Peck tried to get to the boy the more they shoved him away. Peck decided to go to Jas and tell him what was going on. It was late and Jas was in bed. "Sorry to bother you McCord. 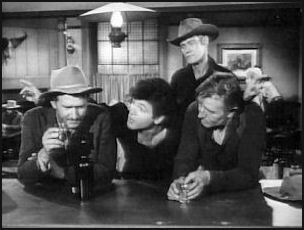 It's about the boy.....he's in town.....drinking pretty heavy," said Peck. Jas told Peck that he wasn't his nurse maid. "I don't know what you are to him McCord. But I do know that he's pretty down about something and the boys are taking him for a ride." "I just thought you'd wanna know," said Peck. 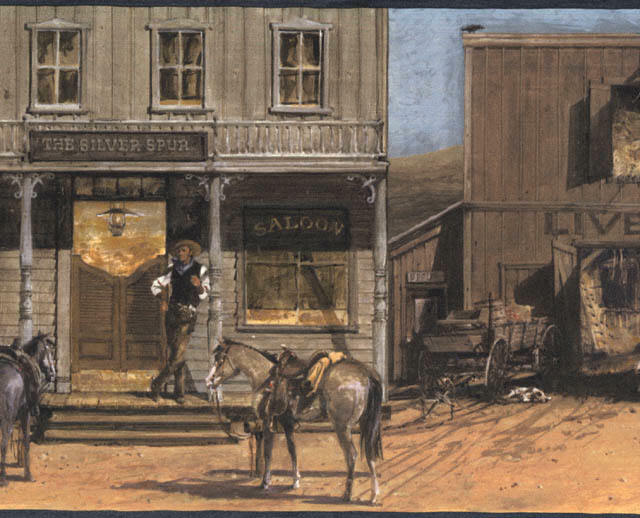 Jas thanked him and then got dressed and headed over to the saloon. Bain had just bought another round of drinks. "I can tell you the velocity of the current of the Delaware River the night Washington crossed it.....I can tell you the net cost of the entire Revolutionary War in dollars and in pounds." "But do you know what I can't tell you?" "I can't tell you why no one relieved General Reed at Bitter Creek," said Bain. "Mr. Bain....." said Jas as he stood behind him. "Ahhhhh.....the great stone face!" "He can tell you.....he can tell, but he won't!" Said Bain as he pointed to Jas. "Let's go back to the mine," said Jas. Bain told Jas he didn't want to go back to the mine; he wanted to know what the big secret was he was keeping. Jas grabbed him by his shirt and started for the door when Bain told him to wait a minute as Bain pulled away from Jas. Bain told Jas that General Reed was wrong and that Jas knew it and that Jas didn't try and stop Reed until it was too late. Jas told him he was drunk. He walked up to Jas and looked him straight in the eye and said....."I may be drunk, but I'm right.....and your still trying to cover up for him." "Why?" Asked Bain. When Jas tried to get Bain to leave again, Wilkes told Jas to leave Bain alone. They got into a fight. Jas hit Wilkes and he fell into another cowboy. Cole then came after him, he threw him into the floor into the stairs. Another cowboy attacked Jas, Jas grabbed him and threw him over the bar. Again Cole came at Jas. Jas shoved him into Wilkes and the other cowboy picked up a chair and hit Jas with it. They fought for a while and the only one left standing was Jas. He walked up to the bar where Bain was standing and said....."Well Mr. Bain.....what next?" "I just want the truth," said Bain. "Because it's my career captain, it's my life and their going to take it away from me.....I'm being court martialed because of you." Jas thought about it for a moment and then looked at Bain with a slight smile and said....."Maybe we should try to under stand each other son." "Let's go back and have some coffee, huh?" Asked Jas. Jas told Bain his story while they had coffee. "So it boiled down to a choice.....the price of preserving General Reeds name and his treaty was my career." "But that's my problem.....not West Points.....not yours," said Jas. "I knew it couldn't have been a lack of courage on your part.....but I never could understand why you offered no defense at your trial." "I know you told me about it, but I.....I don't really know if I understand it or not," said Bain. Jas looked at him and said....."That's your problem Mr. Bain." "You got what you came for.....now what are you going to do with it?" "I'll go back and apologize to my history professor and the commandant for naming the place the name of Jason McCord among the illustrious graduates of West Point." "I'll shut up and graduate!" As Bain sat there looking at Jas, he said....."It seems so unfair.....nothings changed," said Bain. "It's not true," said Jas. "You have." The next day Bain and Jas were ready to go their separate ways. They didn't say good bye, they didn't even speak, but the look on their faces said something Carrie couldn't figure out. After Bain rode off, Jas told Carrie he would miss her. She told him if he ever needed her, he knew where to find her. He looked at her with a smile and said....."At the end of a rainbow." They embraced each other. Jas then started off on his journey. Jas turned to look to see where Bain was, only to see that Bain was looking too. Jas then saluted to Bain and then they both rode off.